Do you want to acquire new skills, meet new people, put your talents to good use, whilst making a difference? 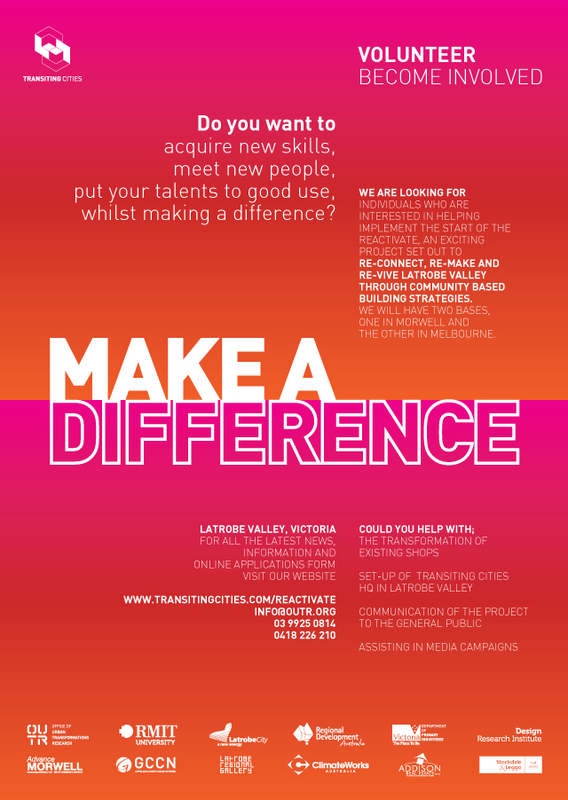 We are looking for individuals who are interested in helping implement the start of the Re-Activate, an exciting project set out to Re-Connect, Re-Make and Re-Vive Latrobe Valley through community based building strategies. We will have two bases, One in Morwell and the other in Melbourne. Click here to view the on-line application form.